The tips on how to arrange a bedroom with a bay window will help you to make the architectural design more impressive to view. The bay windows are not only used as the decorative items. You can also use them as the focal point if there is no TV or even fireplace on the bedroom. The bay window is not only spotted inside the Victorian, traditional or even Italian bedroom design. You can also have this type of unique window inside in contemporary or even modern bedroom. Make the bay windows stunning and stylish by using the suitable arrangement. 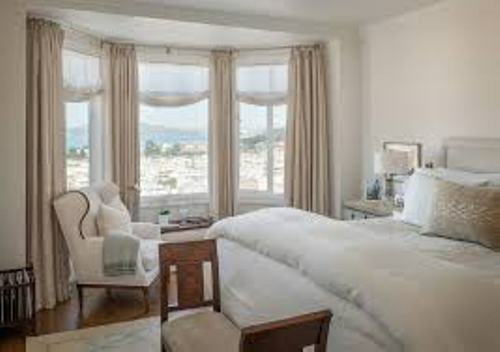 The style of the bedroom should be decided for the first time before you arrange and decorate the bay windows. You can make it look ornate for the Victorian bedroom design. 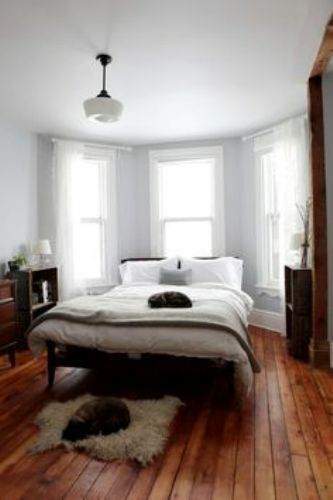 Or you can make it minimalist for a modern bedroom style. You can make the windows ornate to view from any angle if you want to create a glamorous and traditional effect in the bedroom. 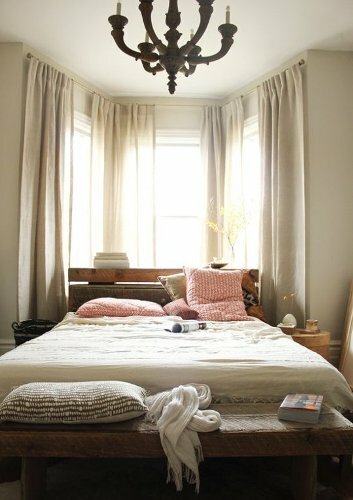 You can use the bay windows as the focal point in the bedroom. Therefore, you have to make it stunning by using a nice bold color which can stand out the view of the windows. For instance, you can repaint the bay window in navy blue to evoke the nautical feeling over the white wall. If you want to make it ornate and superb, you can install several layers of curtain. You can install a floor to ceiling length curtain made of velvet or even sheers. Then you can add the decorative valances at the top of the window bays. If you want to bath the bedroom with high amount of sunlight, there is no need for you to install the thick curtain. You can use a set of blinds on the window to control the lighting. Find guides on how to arrange bedroom with two windows here. To evoke the modern style in the bedroom, you can install the roman styled window blinds. They are not decorative since the pieces focus more on the function. 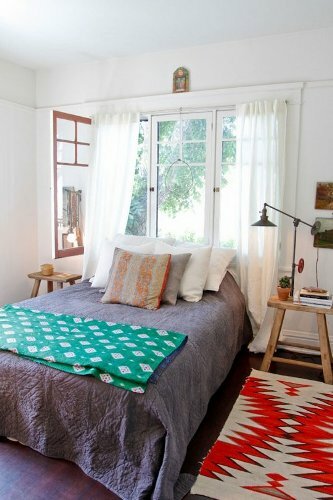 Get tips on how to arrange a small bedroom here. Do you have any comment related to the tips on how to arrange a bedroom with a bay window?